A very warm welcome back to all students, staff and parents. I trust that the holiday time was used productively by the girls to relax and re-energise as we head into the final term and the busy end-of-year period. Unfortunately, due to the severe weather conditions last weekend the Fete was cancelled. We were very grateful to all our families who supported us with the donation of items for the Middle School stalls. These will now form part of the collection for the Middle School Giving Tree, a tradition of service to support those in need at Christmas time through the Surfers Paradise Anglican Crisis Centre (SPACC). At the end of Term 3, 9O used the theme Let the Force be with You, to show that each of us has our own force and that our individuality should be celebrated. 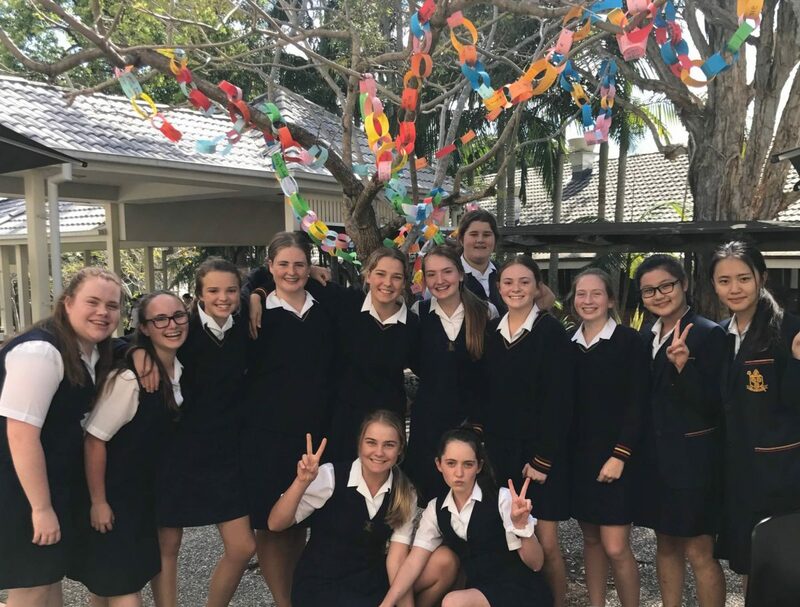 Through a colourful crazy socks and ribbon competition, daisy chains and speed dating sessions the girls highlighted their message, raising awareness of the importance of each individual girl. Their chosen charity, Girl Up aims to create opportunities for girls to reach their potential in education, community and work. The girls felt that this resonated with how they wanted to celebrate the individual but also to encourage us to celebrate our colourful community. 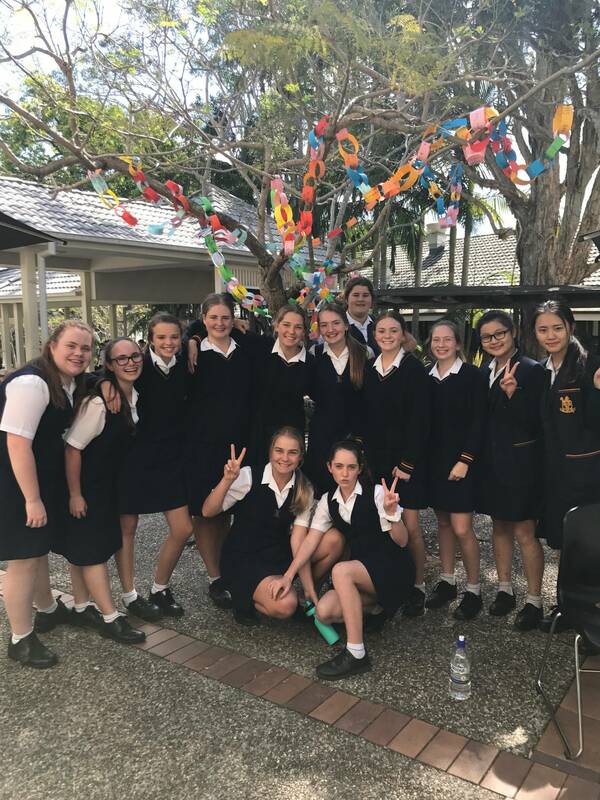 There is much to look forward to throughout the term: Year 7 will be involved in an activity afternoon with TSS as well as assisting with the transition program while Year 8 students are exploring leadership opportunities for 2019 and how they can make a difference. Year 9 girls are preparing for their move to Senior School; this term will be vital to consolidate the skills learned over the past three years. End of year ceremonies enable us to acknowledge and honour the students who have contributed to and helped to build our learning community. There are a number of events in the coming weeks including the House Chapel and Dinners. These evenings provide opportunities to acknowledge and celebrate the achievements within the House as well as farewelling our Senior girls. These will be held over three evenings – Karragaroo on Tuesday, 23 October, Melaleuca on Wednesday, 24 October and Banksia on Thursday, 25 October. I encourage all Middle School students to attend and support their Houses. Stopping and thinking before you talk or act – Is it true? Is it necessary? Is it kind? Lead by example – always remember your manners. Be positive – If you can’t say something nice, don’t say anything at all. Welcome new girls with open arms – take a moment to introduce yourself and get to know them. Show appreciation – recognize one another’s strengths and achievements. The ripples from acts of kindness can help us all make a difference in the world and live a life worth remembering. While the arrival of the warmer weather has been very welcome, the girls need to keep in mind that spending time in the sun comes with risks. They are encouraged to practise sun-safety measures, including wearing a hat when involved in outdoor activities at school. In addition to wearing their summer hat to and from school, students are reminded that they should also wear their hat during recess and lunch breaks. Please make sure all hats, as with other uniform items, are clearly named.